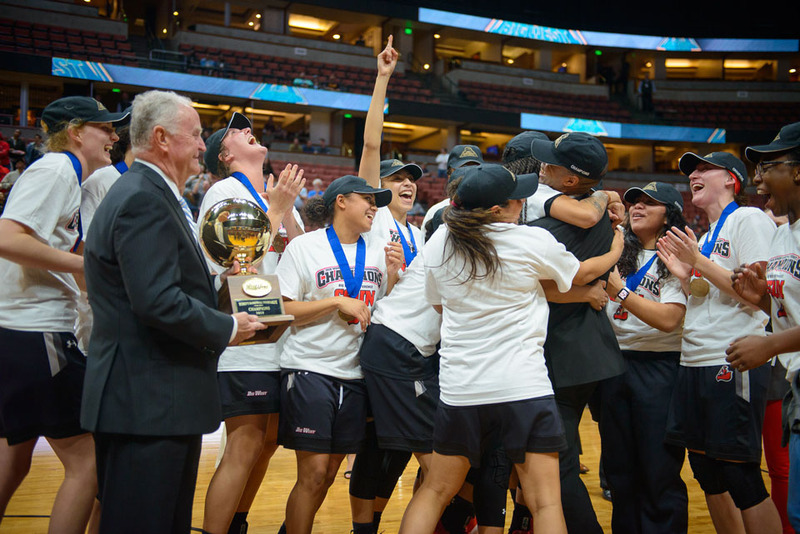 CSUN Matadors are the 2018 Big West Conference Champions. Photo by Braden Villanueva. 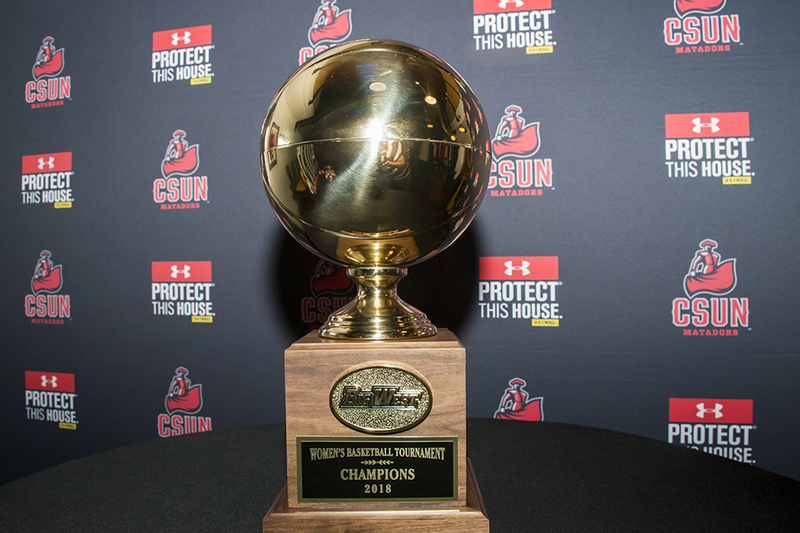 Big West Conference Championship trophy. Photo by Braden Villanueva. 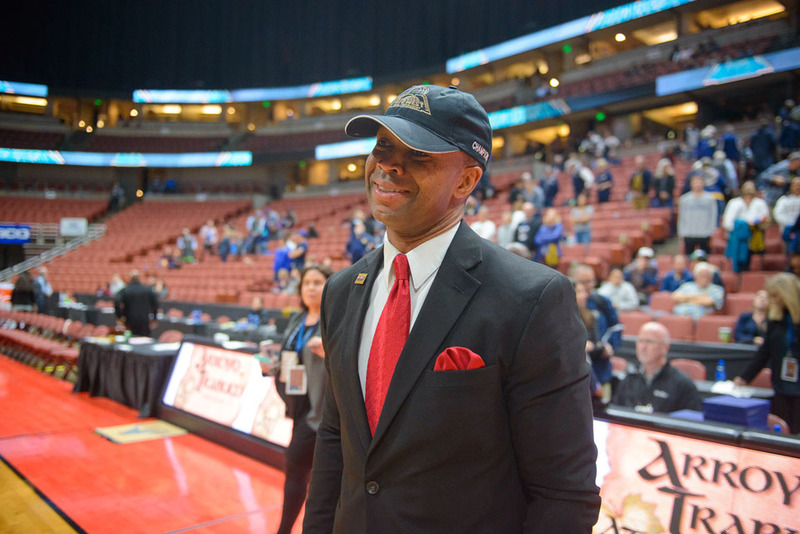 Head Coach Jason Flowers sporting his Big West championship cap. Photo by Braden Villanueva. 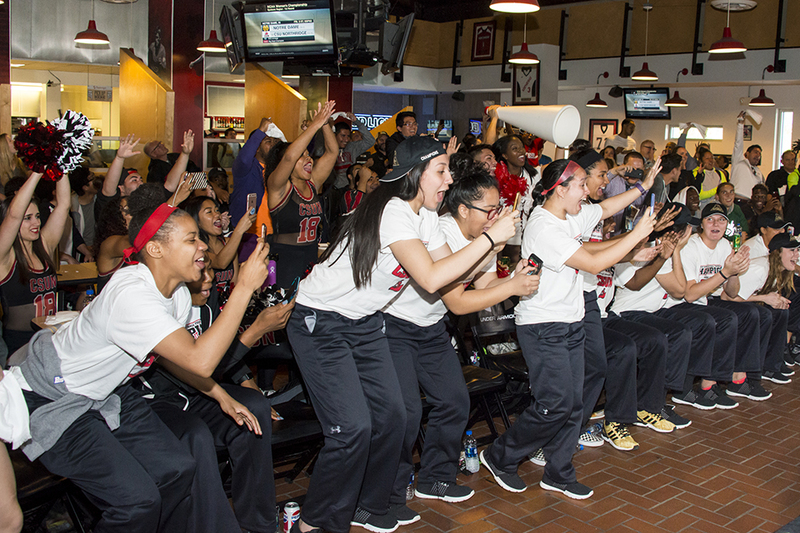 Celebration after the title is clinched. Photo by Braden Villanueva. 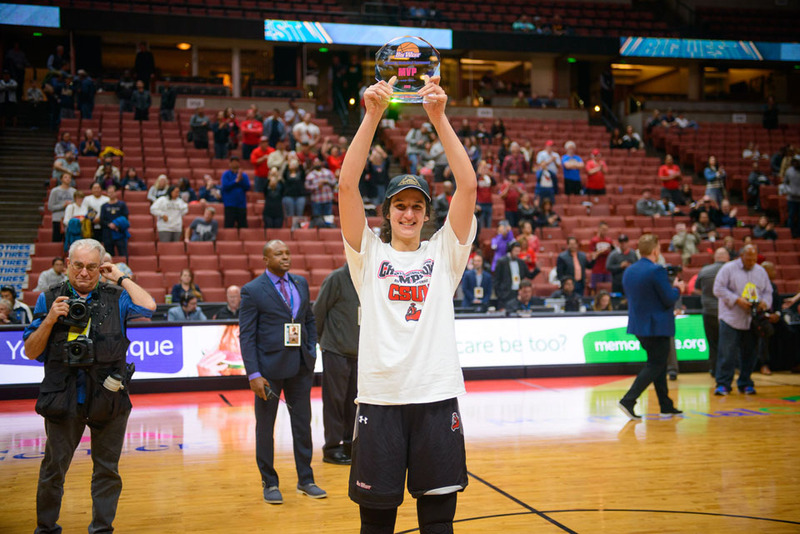 Big West Conference Tournament MVP Tessa Boagni. Photo by Braden Villanueva. Checking their medals. Photo by Braden Villanueva. 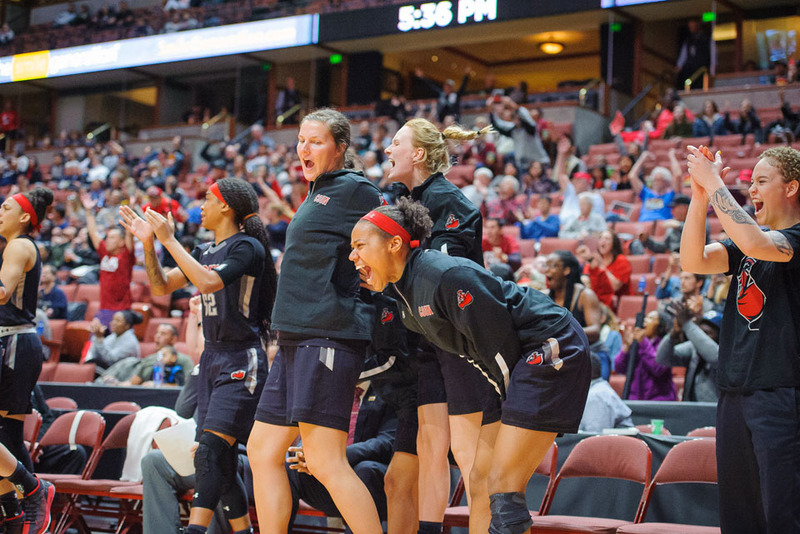 Celebration after the the final victory over UC Davis. Photo by Braden Villanueva. 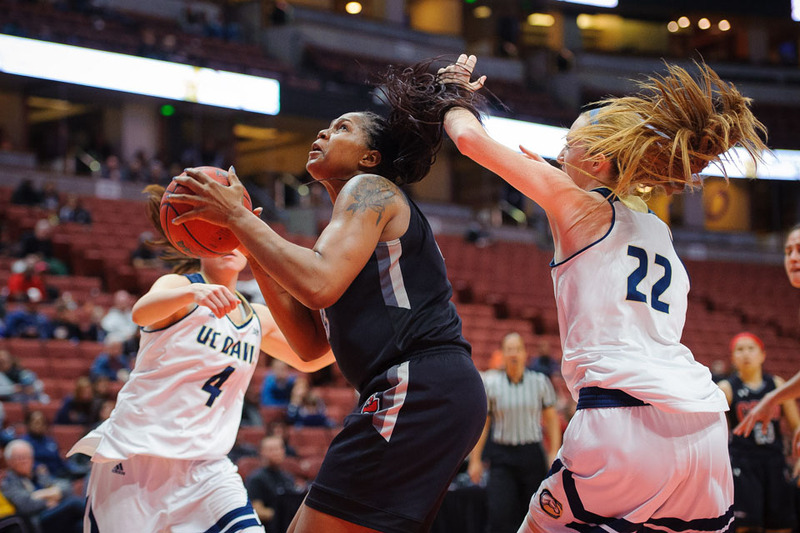 Channon Fluker was named Big West All-Tournament team. Photo by Braden Villanueva. 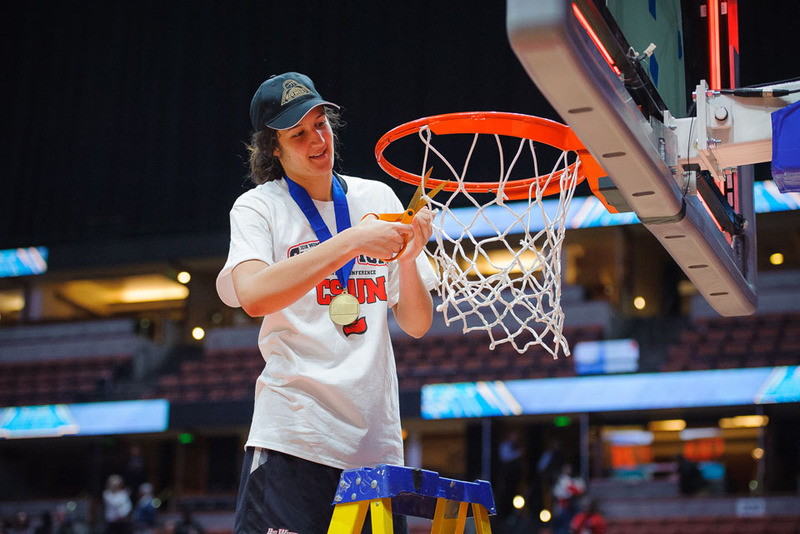 Tessa Boagni starts to cut down the net. Photo by Braden Villanueva. 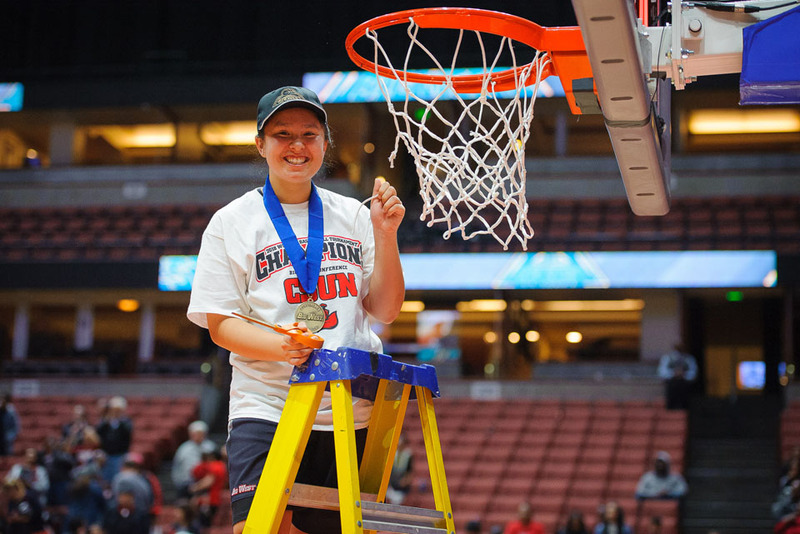 Hayley Tanabe shows off her piece of the net. Photo by Braden Villanueva. 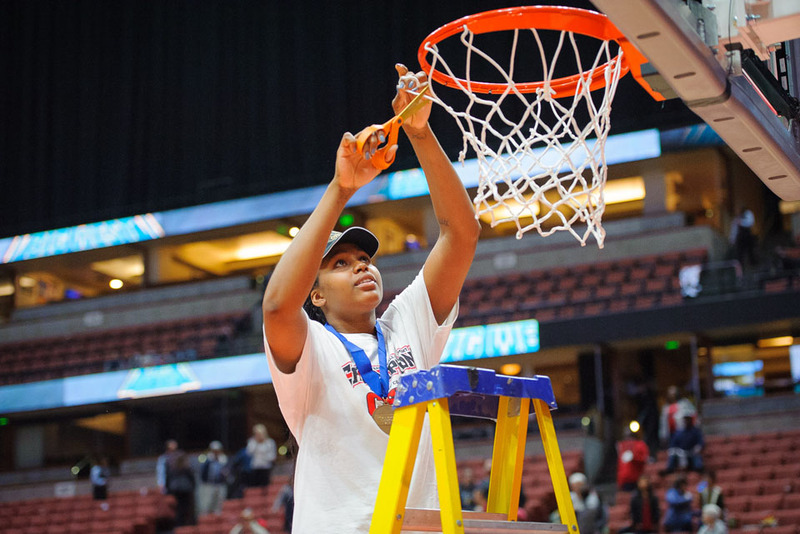 Channon Fluker takes her turn helping to cut down the net. Photo by Braden Villanueva. 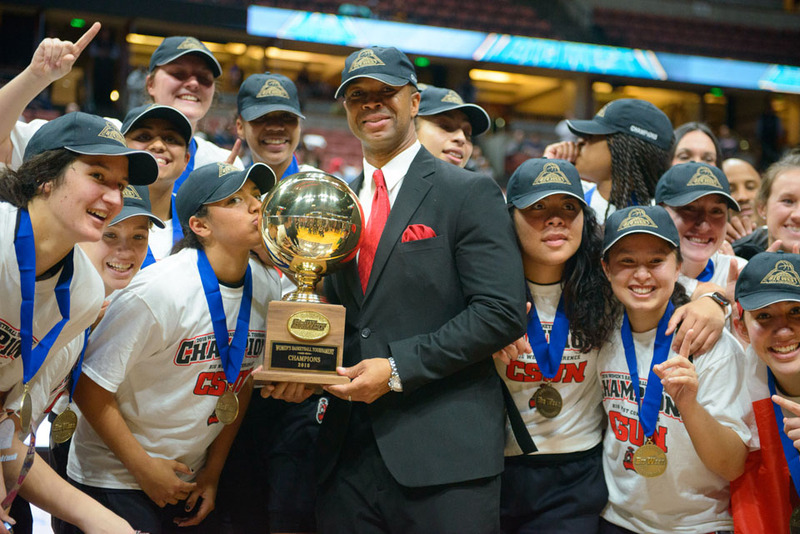 Head Coach Jason Flowers holds up one of the prized souvenirs from the title game. Photo by Braden Villanueva. 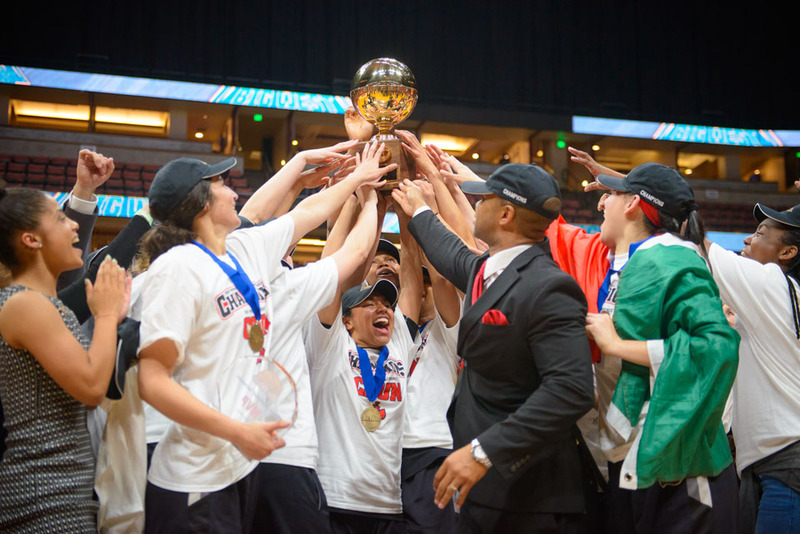 Show off the trophy, Matadors. Photo by Braden Villanueva. 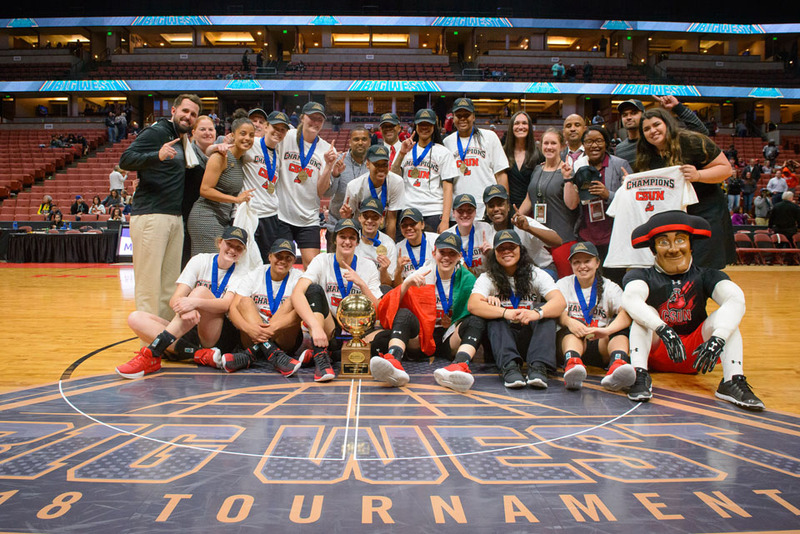 Group shot at midcourt with the trophy. Photo by Braden Villanueva. Holding up the prized trophy. Photo by Braden Villanueva. Head Coach Jason Flowers put some inspirational words on the board. Photo by Braden Villanueva. 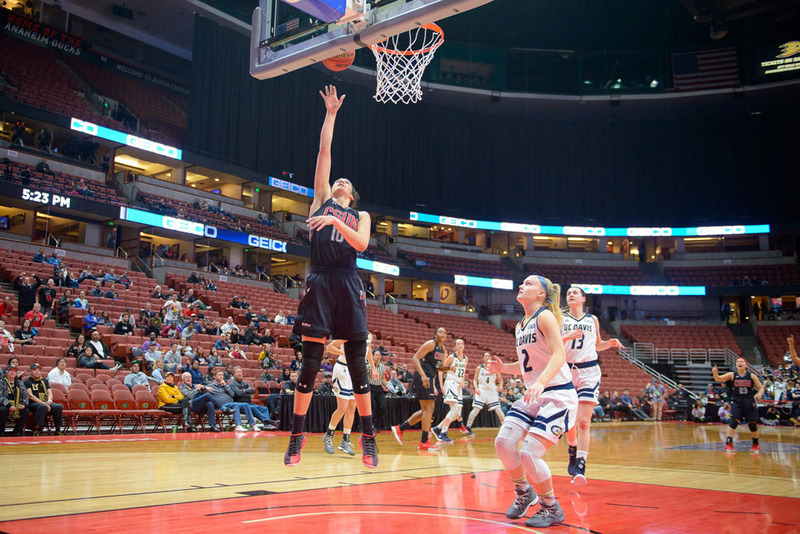 Big West Conference Championship Game, March 10 at the Honda Center. Photo by Braden Villanueva. 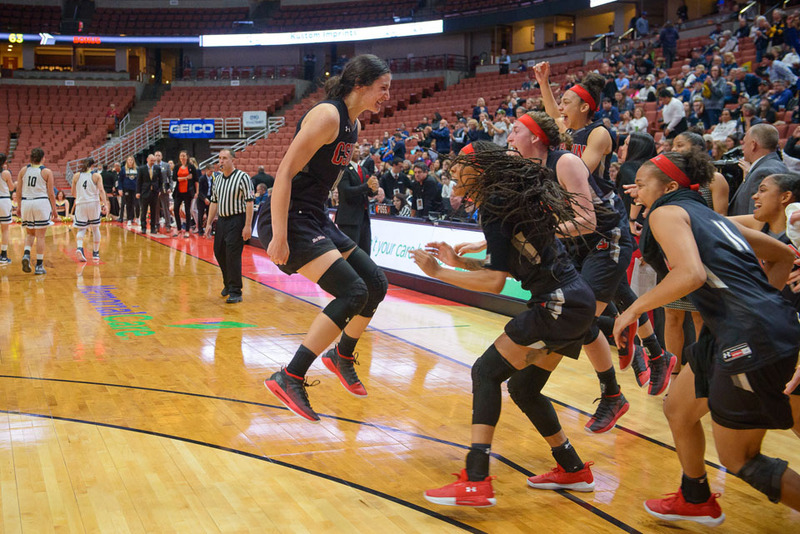 The moment of victory. Photo by Braden Villanueva. 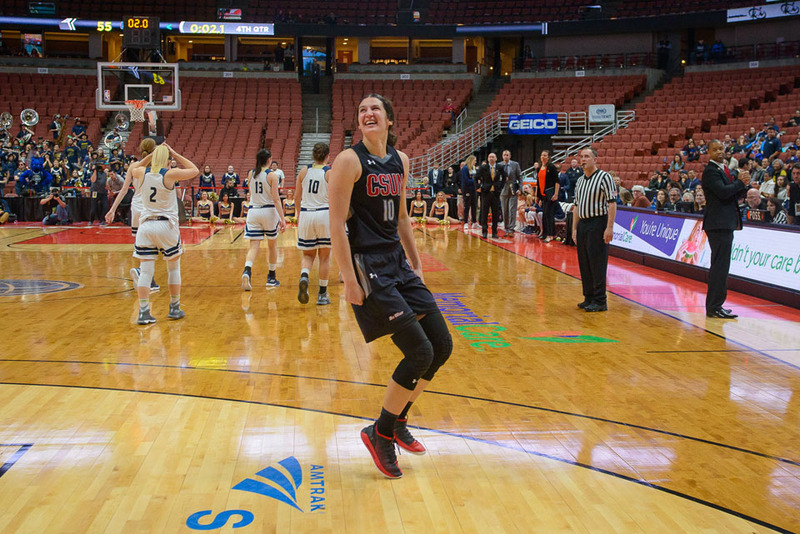 Tessa Boagni is hopping with excitement. Photo by Braden Villanueva. 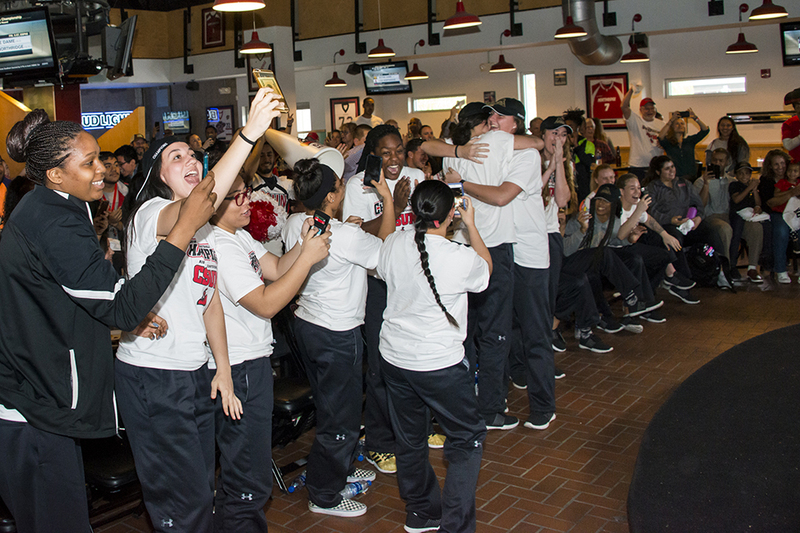 Selection Show on March 12 at the Pub Sports Grill in the University Student Union. Photo by David J. Hawkins. 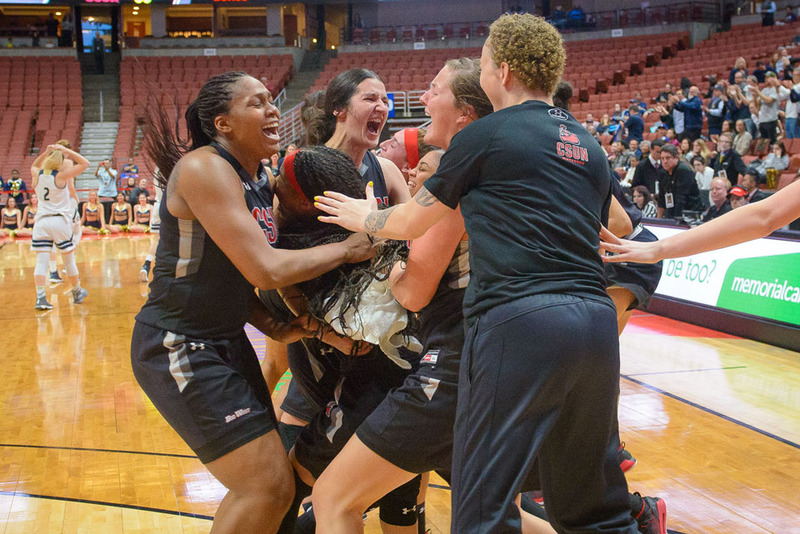 After winning four games in five days to clinch the Big West Conference Tournament Championship, while being the lower seed in three of those games, the California State University, Northridge Women’s Basketball team knows a little about big hills to climb. 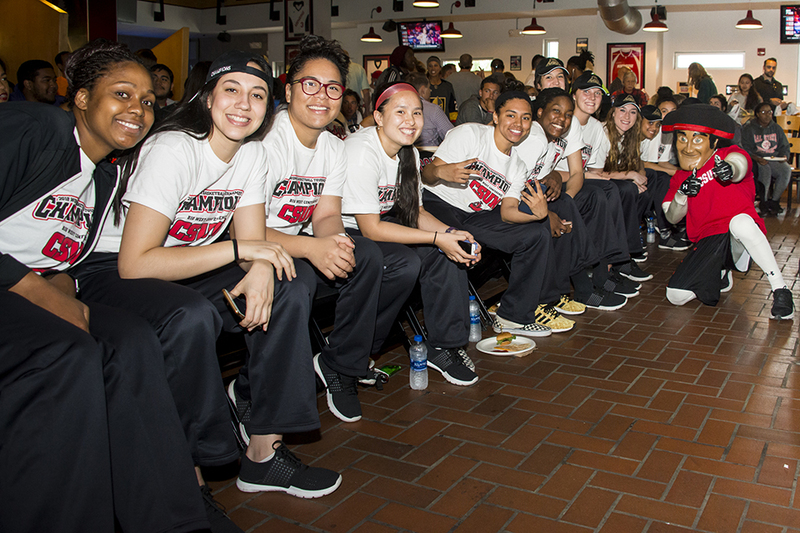 On March 12, the Matadors found out that their next big challenge is waiting in South Bend, Ind. 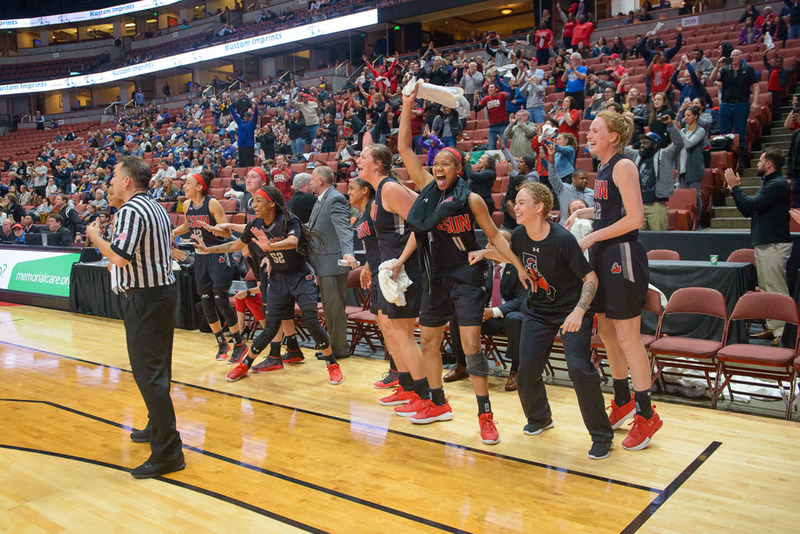 For the third time in five seasons, CSUN advanced to the NCAA Tournament. 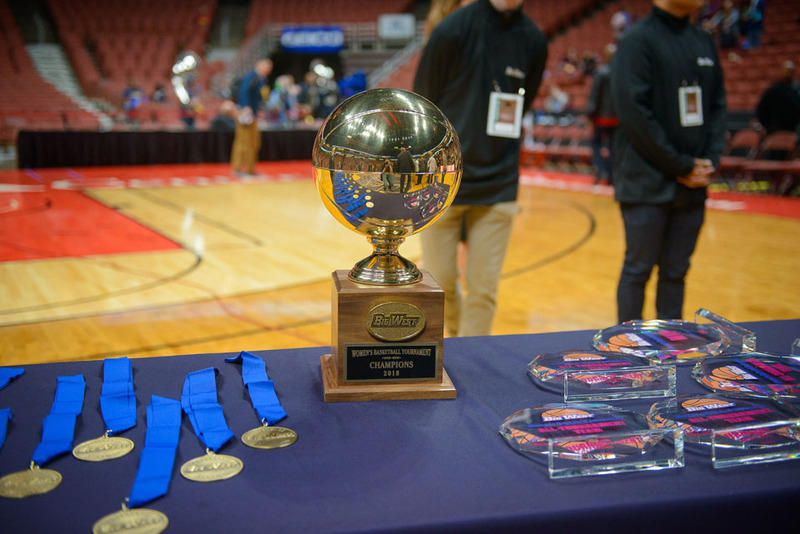 This time, waiting for them is the Spokane Region’s No. 1 seed, Notre Dame, at 2 p.m. on Friday, March 16. 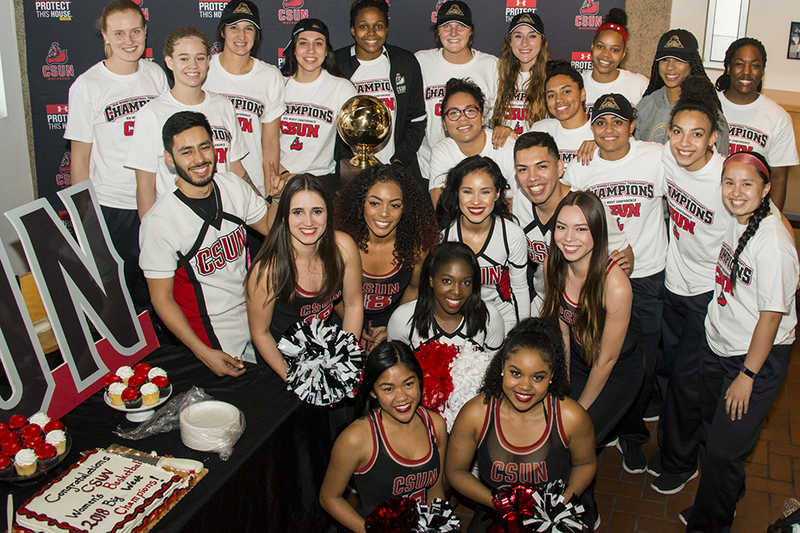 The matchup was revealed during a viewing party at the Pub Sports Grill in the University Student Union, where the packed house was festive and brimming with Matador pride. 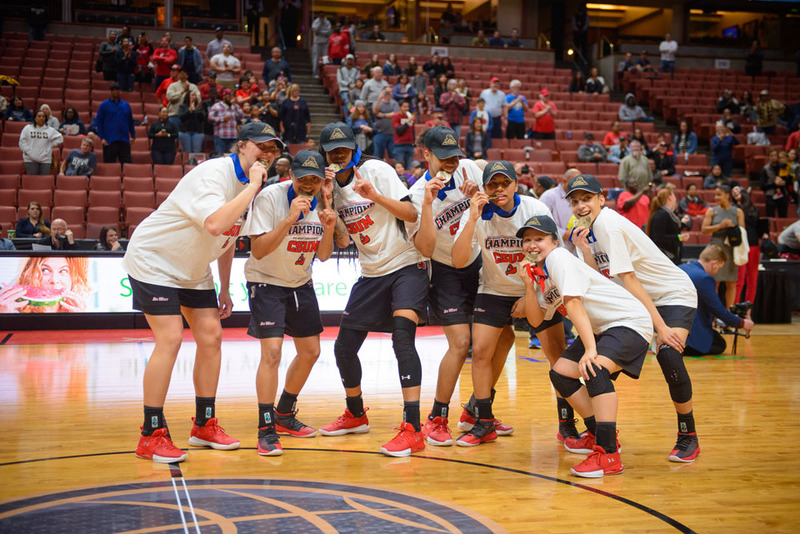 Taking on Notre Dame (29-3) appears a daunting task, but the Matadors (19-15) have endured injuries and still persevered on the way to the “Big Dance.” It helps to have 6-foot-4-inch junior center Channon Fluker and 6-foot-2-inch senior forward Tessa Boagni dominating the middle, especially during the Big West Tournament. 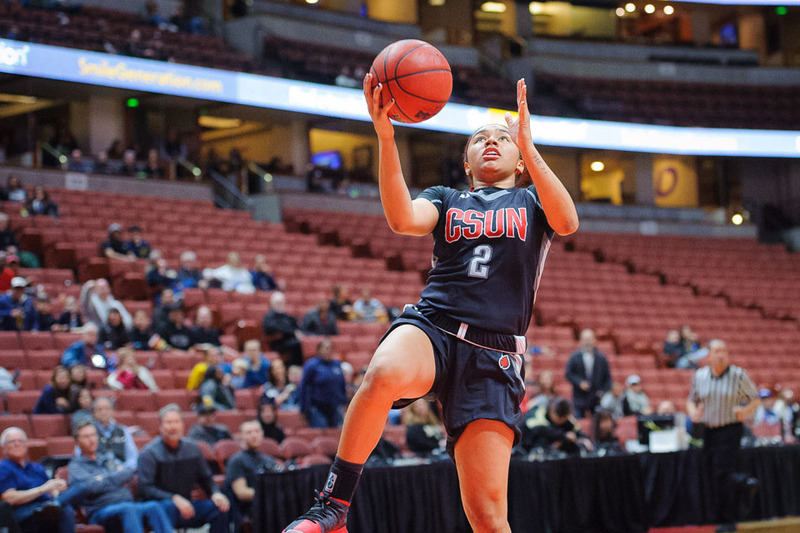 Fluker, the two-time Big West Women’s Basketball Player of the Year, was a force throughout the season, as she regularly registered double digits in scoring and rebounding as a tremendous inside presence for the Matadors. 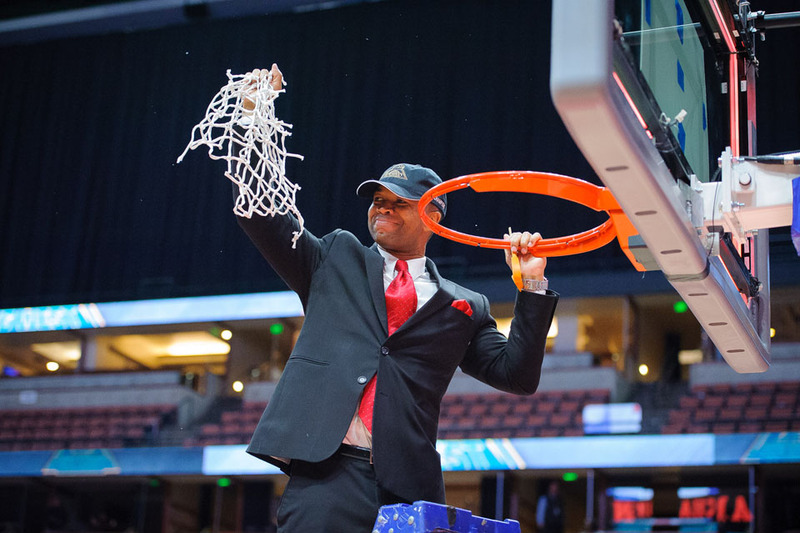 “It was a lot of ups and downs for us,” Fluker said of the season. 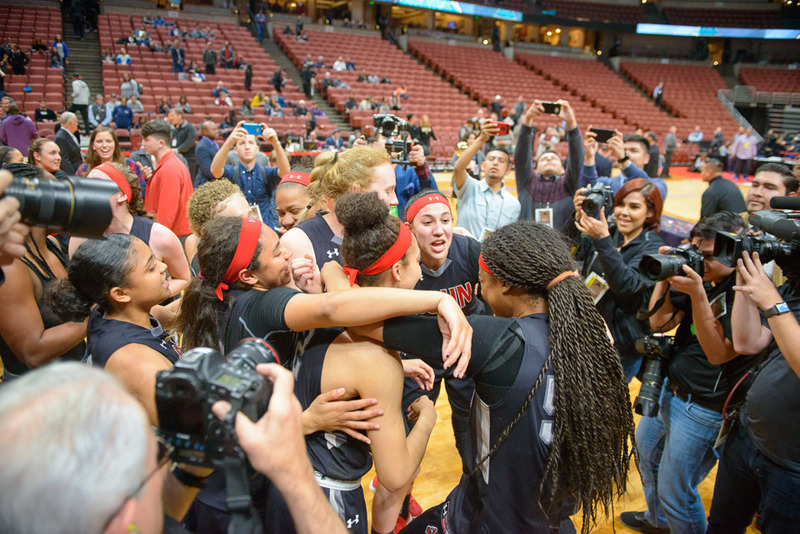 “In the end, we came together — we had a lot of energy. 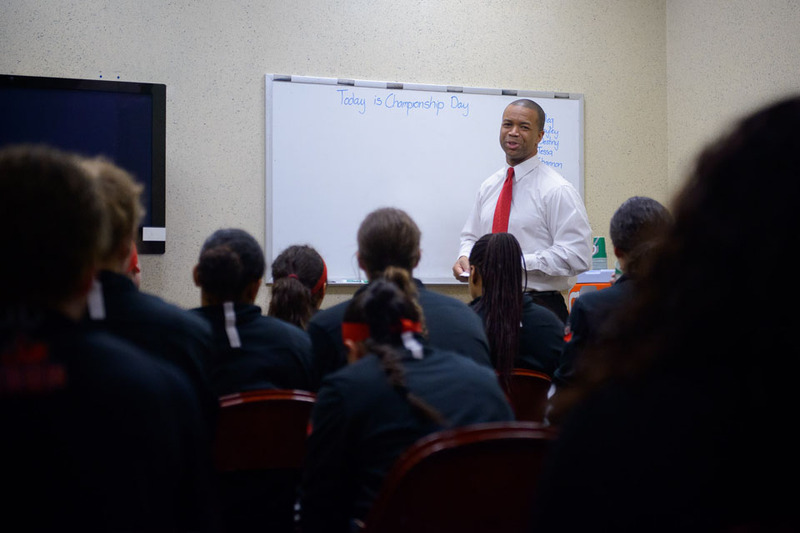 We believed in one another, and that helped push us through the season and the tournament. 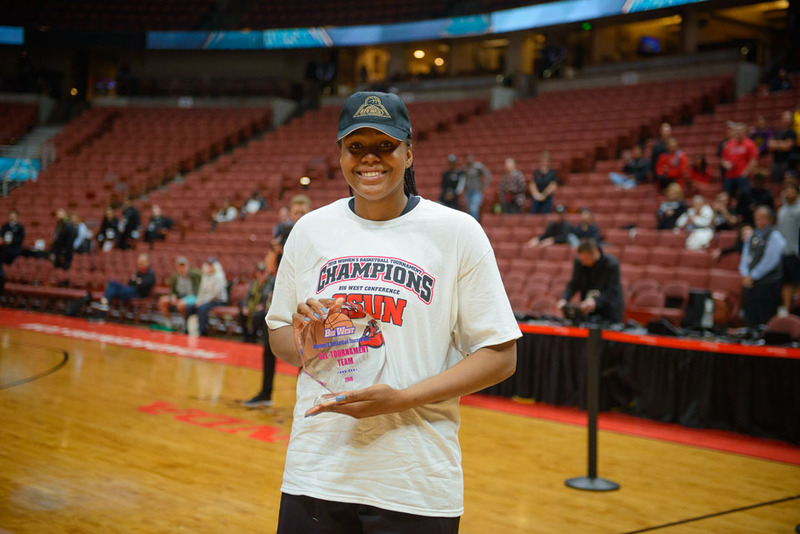 Boagni became a powerful complement to Fluker’s inside play during the conference tournament, averaging 19.5 points through the four games to earn tournament MVP honors. 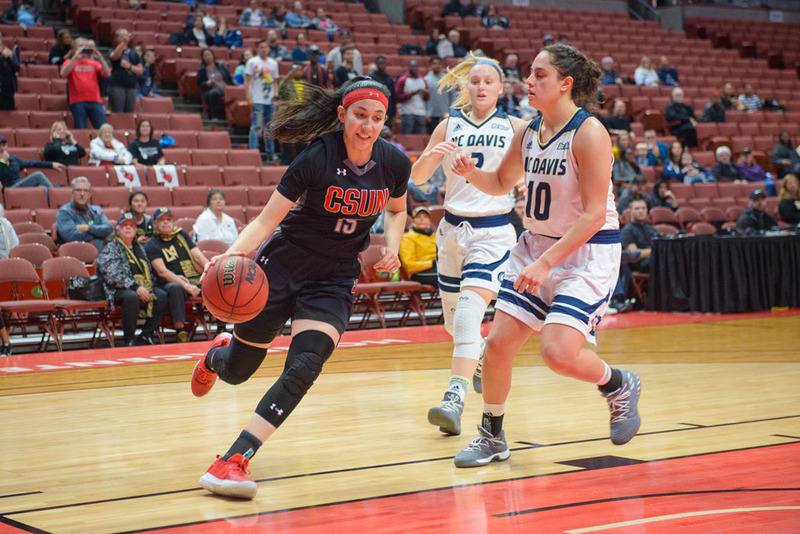 A freshman the last time the Matadors made the tournament, the New Zealand native was able to add perspective to the return to postseason play. 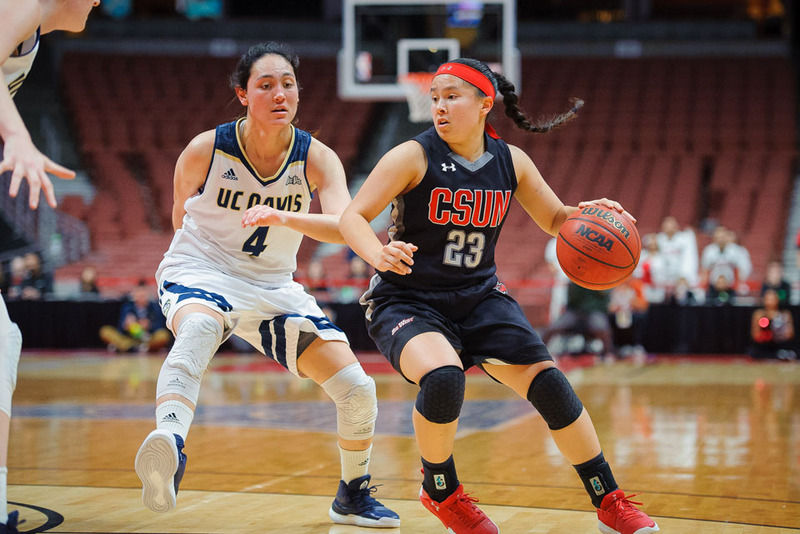 The dominant play of the Matador pair was the driving force in the Big West tournament, as the duo combined to score 47 points in the championship game. For Flowers, the growth of the Fluker-Boagni tandem reflected the evolution of the team over the course of the season. 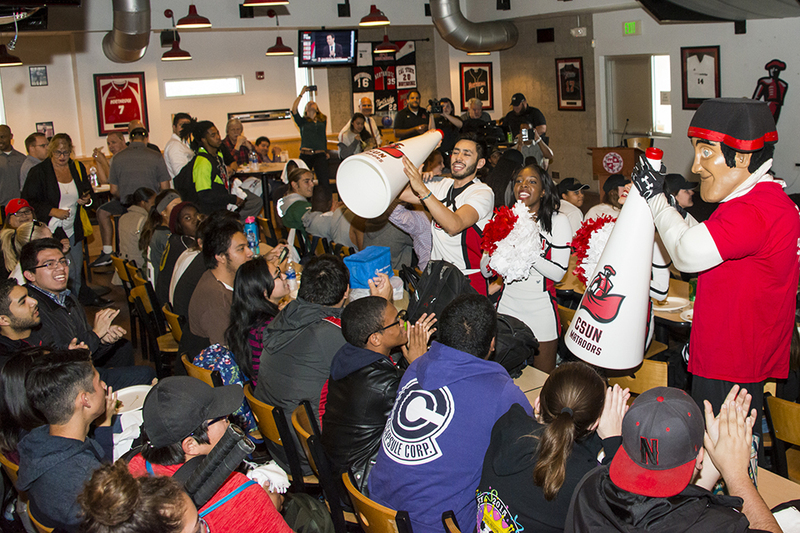 After the viewing party, the Matadors quickly shifted their focus to the task at hand. While the temperatures will be chilly in South Bend, the action on the hardwood will be several degrees warmer. 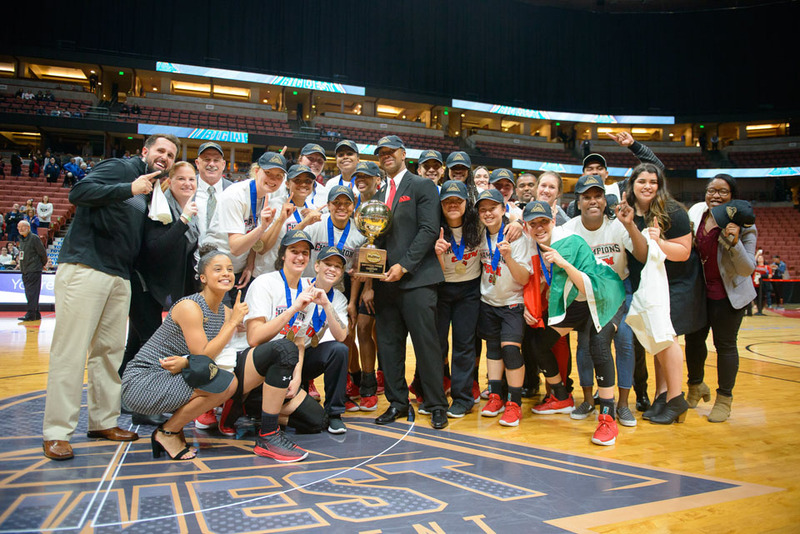 For the latest Matador news during the NCAA Tournament, visit GoMatadors.com.